From a breathtaking creek side ceremony on a historic ranch to an elegant classic reception in The Baxter’s Grand Ballroom, weddings with The Baxter always make a statement. 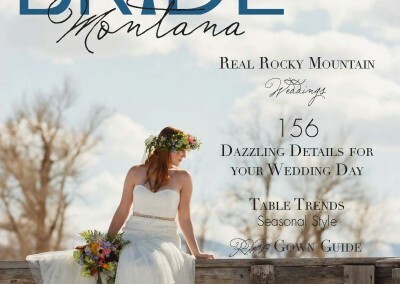 There is something ageless and chic about weddings at Bozeman’s land-mark property. 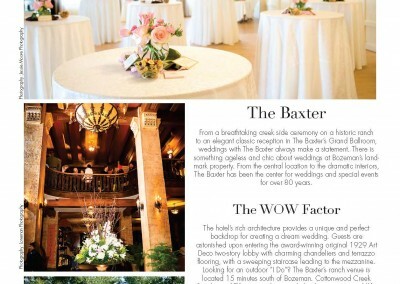 From the central location to the dramatic interiors, The Baxter has been the center for weddings and special events for over 80 years. 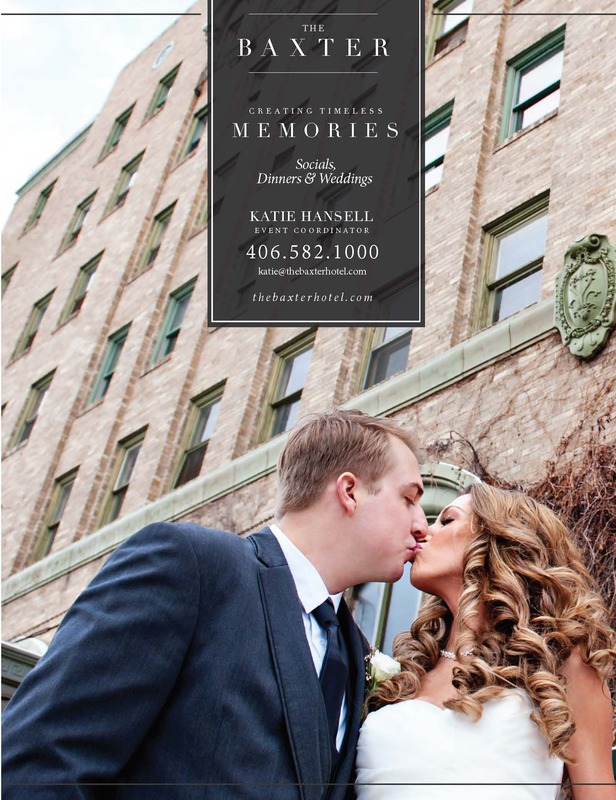 The hotel’s rich architecture provides a unique and perfect backdrop for creating a dream wedding. Guests are astonished upon entering the award-winning original 1929 Art Deco two-story lobby with charming chandeliers and terrazzo flooring, with a sweeping staircase leading to the mezzanine. 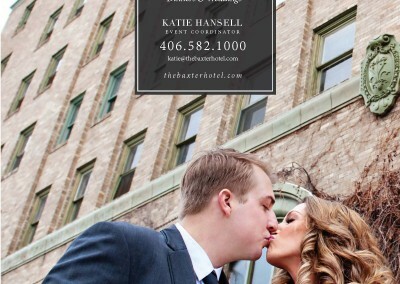 Looking for an outdoor “I Do”? 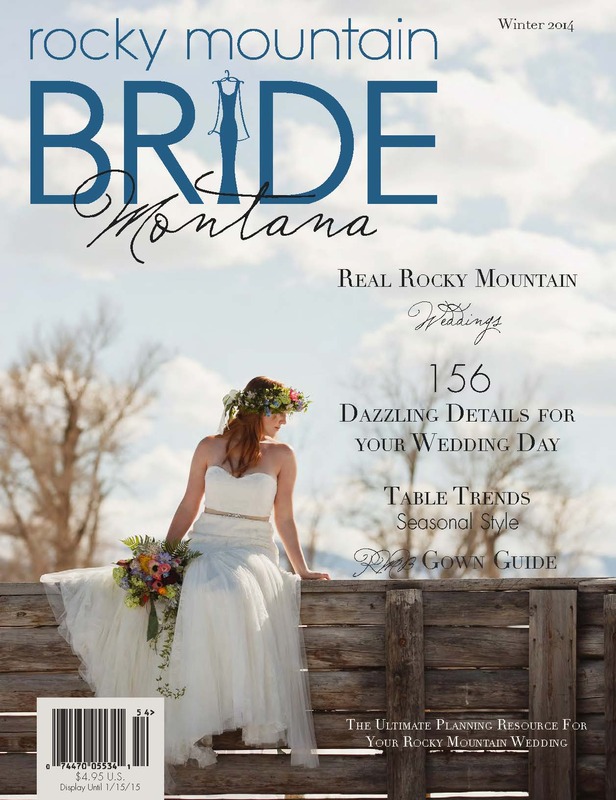 The Baxter’s ranch venue is located 15 minutes south of Bozeman. 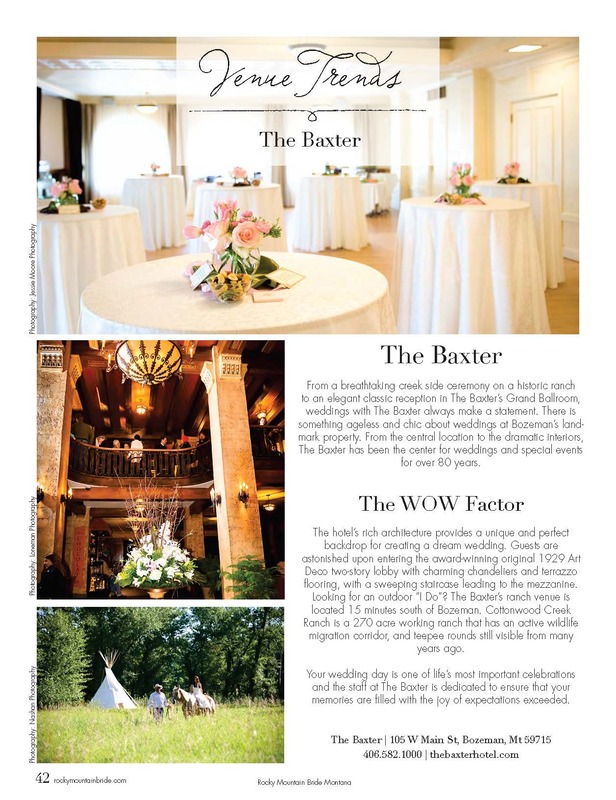 Cottonwood Creek Ranch is a 270 acre working ranch that has an active wildlife migration corridor, and teepee rounds still visible from many Your wedding day is one of life’s most important celebrations and the staff at The Baxter is dedicated to ensure that your memories are filled with the joy of expectations exceeded.